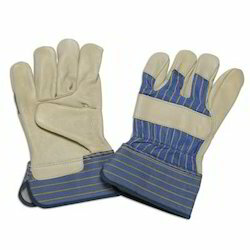 We specialize in manufacturing and exporting a qualitative range of Leather Palm Gloves. These are ergonomically designed and developed keeping in mind the most comfort of our clients. 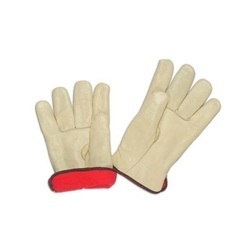 One can avail different ranges of Palm Gloves which includes Natural Grain Gloves (leather Palm), Palm Glove, Beige Grain Glove and Yellow Grain Glove. Customers can avail these Gloves at pocket friendly prices. We are one of the successful manufacturers and exporters of a wide range of¿¿Orange Grain Industrial Palm Glove. 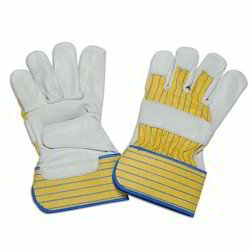 These glove are made from premium quality fabrics to ensure durability and long service life. These glove are neatly stitched using upgraded sewing machines to ensure maximum durability and reliability. Our Glove are widely demanded for easy grip and maximum comfort. The adjustable elastic in the wrist of these gloves ensures perfect fitting to the wearer. 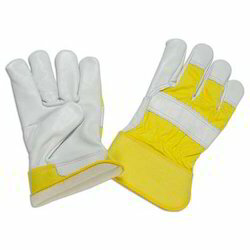 We are one-step ahead of our competitors in manufacturing and supplying a qualitative range of¿¿Yellow Grain Leather Palm Gloves. Fabricated from premium quality fabrics these Gloves are specially designed for drivers. Our Gloves are widely acclaimed for long service life, durability and consistent performance. 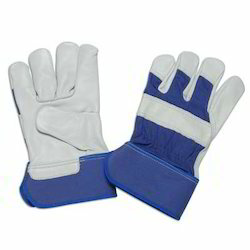 To meet the requirements of clients, we provide these Gloves in various standard sizes and colors. Being one of the renowned manufacturers and exporters, we are involved in offering a wide range of¿¿Natural Grain Leather Palm Gloves. Neatly stitched using advanced sewing machines, our glove provides perfect fitting and are reckoned for their long service life. Besides offering comfort to the wearer, these gloves are attached with Adjustable elastic at the wrist having 9 cm cuff size. We have designated our name as the synthesizer of Leather Palm Gloves Natural Grain are an initiation in that. This type of Gloves include natural grains of fibre with exclusive quality and variation range which is making them unique. 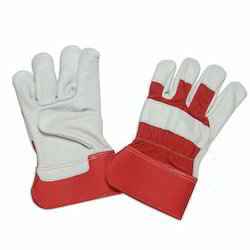 Our Company is casting a long range of palm gloves on the basis of holding and driving semi-hard and hard materials. In that arena we are focusing in the amplification of colors and some privileged quality. Beside the same company is also focusing to maintain a high quality parameters in the manufacture of¿¿Industrial Leather Palm Gloves. 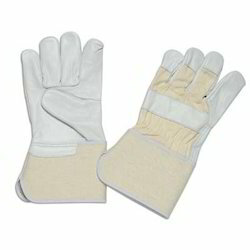 Leveraging on the support of our sound infrastructure, we are able to come forth with the extensive range of¿¿Beige Grain Leather Palm Gloves. 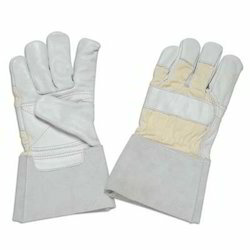 Offered by us, these Gloves are fabricated using blended fabric and innovative techniques in complete tandem with the Safety industry norms and standards. Available in different sizes and dimensions, they are offered in industry leading prices. Being the manufacturer of hand gloves we are manufacturing long range of palm gloves and this is a product in that battlefield. In the production of Natural Grain Leather Palm Gloves¿¿we are incorporating natural grains of fiber and that is installing the quality of the same. We are the manufacturer of leather palm gloves and this is a kind where we are blending natural grains in the production. Beside the quality we are incorporating some unique range of color and standards in this Natural Grain Leather Palm Gloves. The thickness range we are using is according to international standard. We are proud to introduce ourselves as one of the top manufacturers and suppliers of a comprehensive range of¿¿Natural Grain Palm Gloves. Ergonomically designed this glove is fabricated from high quality fabrics sourced from reliable vendors of the industry. Our glove is extensively demanded for excellent finish, rough and tough usage and durability. These can be availed in standard sizes and colors. We are instrumental in providing an extensive array of Natural Grain Safety¿¿ Palm Gloves¿¿which is defect-free and qualitative in nature. The offered products are manufactured utilizing ultra-grade PVC material that is collected from the reliable vendors. 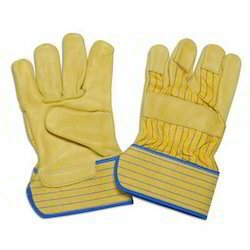 Moreover, we are offering these Gloves within reasonable price range and ensure timely delivery direct at their sites.